Something (which can be observed) rather than nothing (which cannot). Some physicists think they can explain why the universe first formed. If they are right, our entire cosmos may have sprung out of nothing at all. Philosophers indeed have written reams on this subject and science little for the simple obvious inescapable reason that science must forever remain mute when discussing what isn’t science. Why this affront to commonsense? Let’s see. Scientists like Krauss are running around claiming the universe was created from nothing. Now nothing is a very simple concept. It means the complete absence of anything, where anything means something. To thus insist nothing is equivalent to something is to exhibit a mild form of lunacy. I read that as admitting a “perfect” vacuum is filled with something and not nothing. You? That means “perfect”, where perfect evidently means imperfect, vacuums cannot be candidates for creation from nothing. Dude. Necessarily is one of philosophy’s strongest words, second in importance, maybe, to Truth itself. If something necessarily happens then it will happen no matter what. Something which necessarily happens cannot be contingent on any state of the universe. Whatever this necessary thing is, we are doomed to face it. Not forbidden by quantum mechanics is you turning into a wave and entering your house simultaneously by your garage and front doors (and reappearing inside intact). If Hawking is right, this necessarily must happen. Good party trick. Ah, the frequentist fallacy, wherein probabilities are somehow imbued with causative powers. Bunk. Whenever any quantum mechanical event happens, such as you splitting in two or when “virtual” particles appear in a “vacuum”, something causes the event to occur. It is impossible that nothing causes quantum mechanical events. It is possible, and seems to be true, that we cannot know these causes. But because we cannot know them does not mean they do not exist. Nothing cannot be a cause. How could it? It is nothing. Accept this. In accepting this we are forced to admit “little bubbles of space and time” are something. They are not nothing. Yet notice Krauss’s use of “spontaneously”, here a synonym for “from nothing” or “uncaused.” Krauss is thus assuming what he wishes to prove. And assuming the impossible at that. Krauss believes in magic. If what he says is true, only magic could account for why quantum mechanical events occur. Magic, unfortunately, is still not nothing. Are the laws of physics nothing? From whence did they arrive? Why these laws and not others? No matter how you answer, you end up at something and not nothing. Before you can catch onto his trick, Krauss and another physicist named Linde distract you with multiverses, breathlessly reporting, “There could be a mind-boggling smorgasbord of universes”. Fine, let there be. But in this scenario another universe somehow created ours. Is another universe nothing or something? And where did all those other universes come from? It can’t be nothing. Pushing the “problem” back one level does not make it disappear. I’m no expert in multiverses, but I did read in Gell-Mann’s The Quark and Jaguar of his exasperation with fellow physicists who confuse probability, which is a measure of information, with reality, which is real. When we flip a coin, probability-as-measure-of-ignorance informs what might happen; it’s not that the coin splits and becomes both head and tails in separate universes. The whole “mulitverse” theory, such as it is, assumes MORE things, not fewer — and certainly not nothing. The failure of scientists to understand the simply concept of “nothing” never fails to astonish me. “Thing” does not mean “matter,” and it SURE doesn’t mean “matter bigger than very tiny particles.” If you have “a sea of particles roiling around,” then you have something. If you have a vacuum that can be “filled” with said sea of particles, then the vacuum is a thing. If a law of nature requires that things “pop out of nowhere,” then the law of nature is a thing. It’s not that hard. HT: Stephanie Osborn, via Jerry Pournelle. ……and of course, WM comes through with a gem, right when I was looking for one. Get that book rockin’, I’m all in. Excellent question, that. For God just is that First Cause, that which is hidden from us, if you will. The Unchanging Changer, the reason any motion occurs in the first place. If there is nothing then there is also no reason for a first cause. So why is God? Ontologically speaking that is, not causative. Another question one might consider, other than “was there something” or “was there nothing” is “why is there anything”? Of course then it’s inevitable to hear from “humans” that believe (think) that they can correctly and accurately answer any of these questions; when in fact they are “just sharing stories, theories and speculation”. It seems to me that the relation of this “nothing” and that Quantum Foam is not that dissimilar form the relation between the demi-urge Jehova and the God of St. Thomas. One is for the masses, wrong and understandable, the other for the academics, less wrong and incomprehensible. The problem I see with the definition of ‘nothing’, it has missed out the time element. A true ‘nothing’ has no time (and therefore no space) – no past, present or future. It is a stasis of complete stillness, where there are no particles, there’s no “flare into existence and almost instantaneously fade back into nothingness” as there is no time and so no space for this to happen. With time and space there is always ‘something’, even in a vacuum. When time and space appeared (how? why?) then energy, and so matter was created. In the beginning was the Word, and the Word was “Time”. When we figure out time then we may have a handle on how all this started – IMO till then we are just spitting in the wind. I loved the coin splited. I mean coin split. Sorry. The more we argue about the “causes” of evebts in a probabilistic universe, the more we argue for the universe being fundamentally deterministic. Recently I learned of the term propter numen. The idea is that by giving a thing a name we cause ourselves to unconsciously give it attributes it may not have. So we have “something” and “nothing” as opposites and mutually exclusive terms. But, as light is both wave and particle, the difference being in context or “environment”, can this great vacuum of nothingness not be something under the right circumstance? Vacuum is not actually nothing. In my view it is actually “unfolded” space-time. Matter is simply not expressed in ways in which we are familiar. Perturbations of this unfoldef S-T could – in a causitive, deterministic sense – create a perceived “something” from a perceived-by-absence “nothing”. When matter is “consumed” in stellar fusion, it disappears from our perception but not – again, my opinion – from the total universe. In fact, the unfolding gives us both an expanding universe and a perception of the flow of time. A reversal of this – why? Reasons outside these 4 dimensions – create a something from a perceivef nothing. Our words can limit our understanding as they, by bringing simplicity to complexity, expand it. The idea that the universe around us started out as “bubbling and frothing space and time,” as unlikely as it sounds, is still a million times more believable than God. The universe (and I include putative multiverses) is natural. Its origin and embedding was and is trans-natural. Should go without saying. A. In the beginning, there was nothing. At all. Then there was around 1e54 kg of stuff, a universe to put it in, and a bunch of ‘laws’ to keep it ticking along like a Swiss watch. 15 billion years or so and a lot of evolving later, here we are. One is scientifical as all get out; the other primitive superstition. My task, as an untrained amateur, is to figure out which is which. The analogy is completely wrong, as what we have here is a clear case of equivocation. Scientists are free to attach technical meanings to common words; what they are not free to, is to then go on and forget *both* the original sense and the new, technical meaning, and conflate the two. It would be like a mathematician, upon studying perverse sheaves, to then go on a tirade against moral evil of mathematics. It would tell us nothing about sheaves, mathematics or morality, but it would speak volumes about the mathematician: that he is a moron. We really don’t have two conflicting theories, A and B are eminently compatible. What we have are people, like Krauss, deathly afraid of the limits of science and of its philosophical implications, who make themselves fools by proposing that something is in fact nothing. “Nothing” is the word used while communicating to the general public, just before they say that this “Nothing” is in fact a bunch of virtual particles appearing and disappearing. And that turns the argument into quibbling about blurbs on the cover of popular science books. Oh please, rewriting history? It definitely is no mere “quibbling about blurbs on the cover of popular science books”, since as a matter of routine, prominent scientists that will go unnamed will blurt out a Glorious Narrative of how Science ™ has solved, or on the verge of solving, millenial questions that have left philosophers stumped. That *is* the point of the Glorious Narrative after all. I think that you are being much too hard on Krauss. He is also looking for the unmoved mover that created the universe out of nothing. We should look past the fact that he does not use the label God and see it as a supporting endeavour. Also calling Hawking a creature is inappropriate. Have you seen the Krauss – Craig debate? Since you are writing a book on the topic, I was wondering if you have read the introductory few chapters of “Truth (Princeton Foundations of Contemporary Philosophy)” by Messrs. Burgess & Burgess ? It gives a good overview of the framework that “other” people are working in when they deal with words like “necessary” and “Truth”. These don’t mean the same thing to everyone in all contexts. When they claim the universe can come from nothing. Pointing to nothing in our universe as a vacuum in empty space. This “nothing” is quite different from the nothing speculated by philosophy. 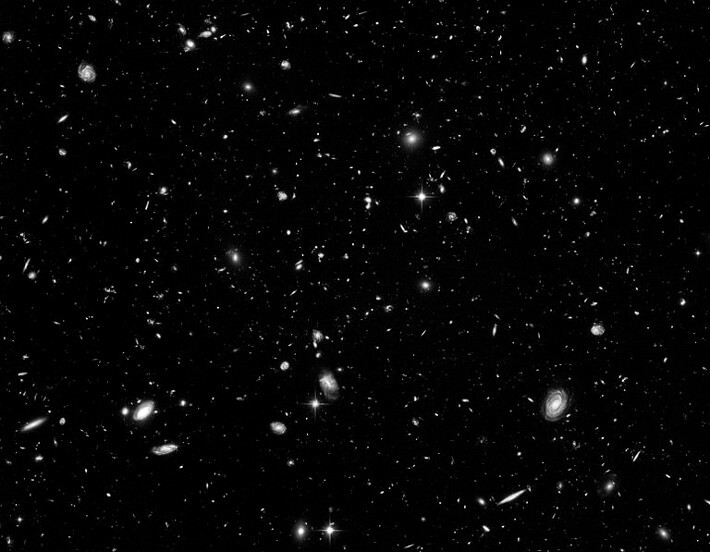 Empty space in our universe is measurable. It can contain matter. What about the “nothing” before the Big Bang. That isn’t there at all. Isn’t measurable or can’t even contain anything or have any quantity. The truth is, the “nothing” Krauss and others refer to really isn’t nothing. People are really being unfair to Krauss. He is, of course, employing the technical defjnition of ‘nothing’ used by children the world over, who, when asked what the source of all the noise and commotion is, reply: Nothing!